Dynamic prints that showcase your sports stars! 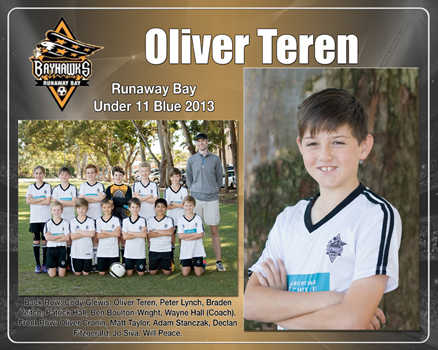 Bright professional images that make even your youngest players look like superstars! Custom designed to showcase your club colours and logo. 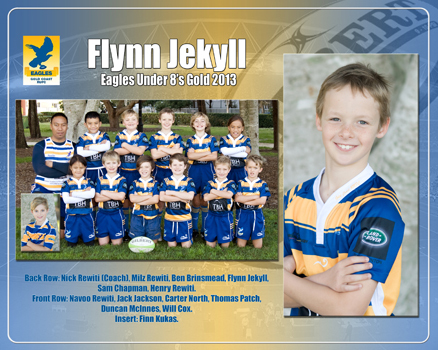 Are you looking for a great team photo? Do you want someone who is fast and efficient and can out everyone at ease? Would you like to RAISE MONEY FOR YOUR CLUB at the same time? 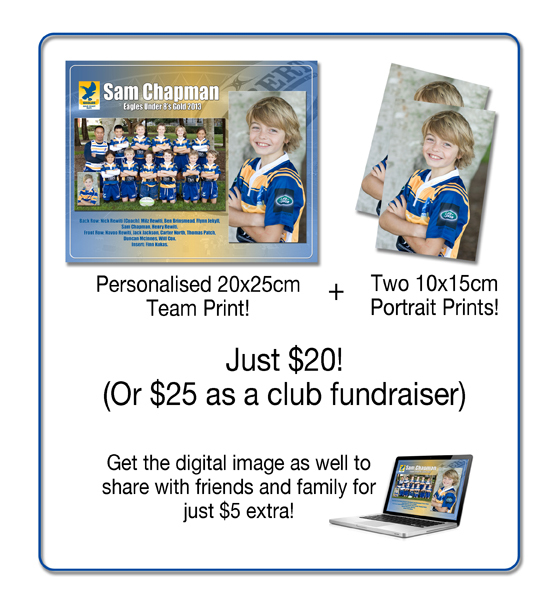 Trudi will come to your club and get all of your players in a fabulous team shot as well as individually, and produce awesome looking custom prints for every player, using your club colours and logo. You can also take up the fundraising option – your club will benefit with $5 from every order coming being contributed to your club fundraising efforts. That’s $500 for every 100 orders – easy! Turn-around time is 2 weeks from shoot to delivery. Being on a sports club committee can be busy and organising club photos is often a bit of a headache. Take the stress out of the experience by following these simple steps. Choose a week during the season when Trudi can come to the club over 2 training nights and take the team and individual photos. Schedule your teams in 15 minute time slots and let your coaching and management team know what is expected – they may have to interrupt or reschedule their training start time to accommodate the photos for one night. Coaches and Managers will also be asked to note the order of the players in the team shots on a “player position guide” which will take a couple of minutes before the photo. Communicate with your players – they will need to wear their team uniforms, including socks and shorts. Give them plenty of notice so that there are no surprises. Have some spare uniforms there just in case, and someone to monitor this. A couple of club shirts for the Coaches and Managers is also handy! Trudi has printed flyers available and artwork for including on your website or FaceBook page to promote the photos. Collect payment before or on the day of the shoot. Some clubs like to have their team managers or coaches collect the orders into a team envelope, others like to have one person designated to collect orders at the shoot. You can do both – whatever works best for you. There is also an option to pay online. Have a printed team list ready – to check off orders. This is also useful to check the spelling of names against. Prints will be returned 2 weeks later. It is often a nice idea to hand out the photos at the club Presentation Night, if you have one.